What is really cool about this card is that it uses a DSP (Designer Series Paper) from the Sale-A-Bration catalog that if you got this bundle you could get for FREE!! I started with doing a simple watercolor on watercolor paper with a few different colors and then let it dry. 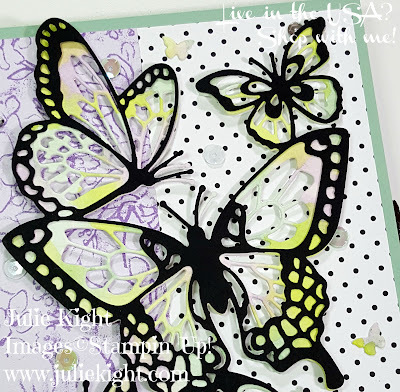 I used the Butterfly Beauty Thinlits to die cut the watercolor paper. I highly recommend using the Precision Base plate for these Thinlits as they are very detailed. I wanted some major contrast with the watercolored die and the overlay die so I did it in Basic Black. The black also ties in with the black in the DSP. 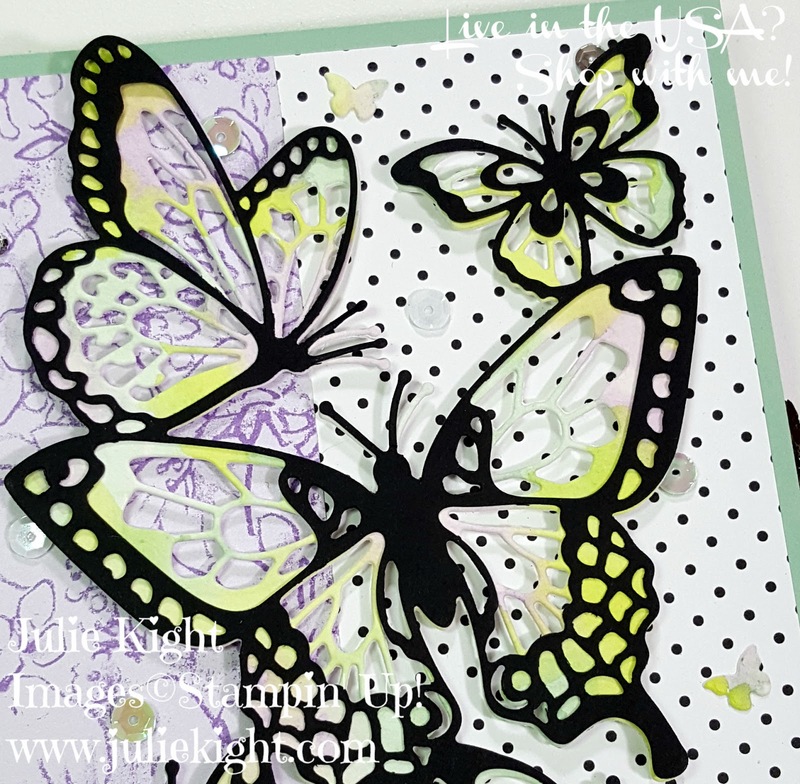 I also used the same watercoloring I did and one of the other Thinlits to make the little butterflies scattered around the card. 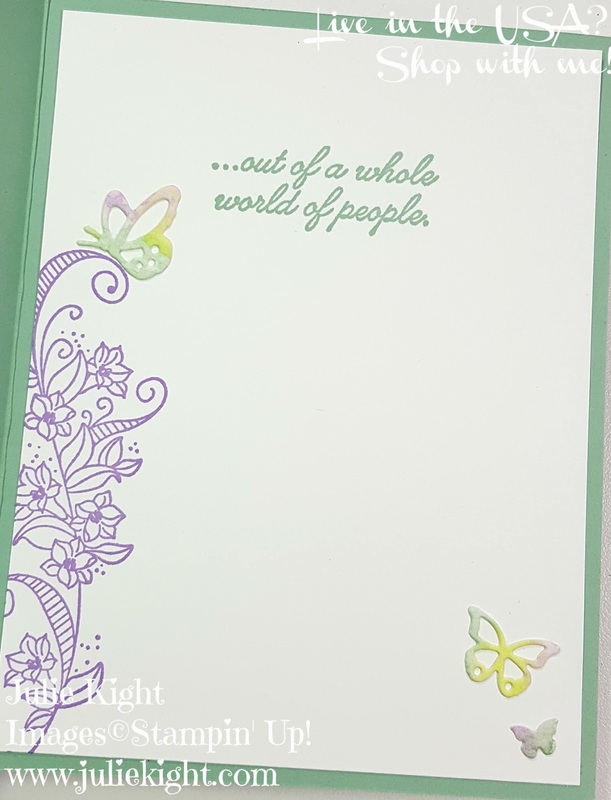 Also in the new Occasions catalog is a wonderful new addition to the Stitched Framelits.....they are rectangular! For all those times when you wanted the look but your sentiment was to wide, they are finally here and I love them. 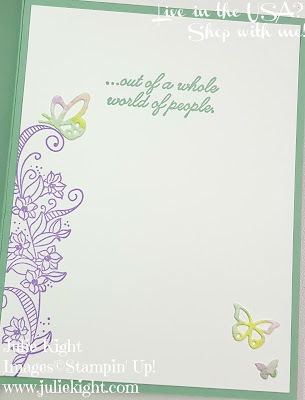 I stamped the inside as well and I also used some of the Thinlits to decorate the paper without adding any bulk. And I also love this sentiment for that amazing friend you have in your life. 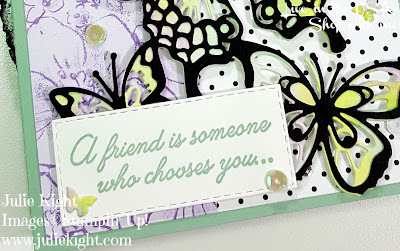 Thanks so much for coming to my blog and checking out my card. 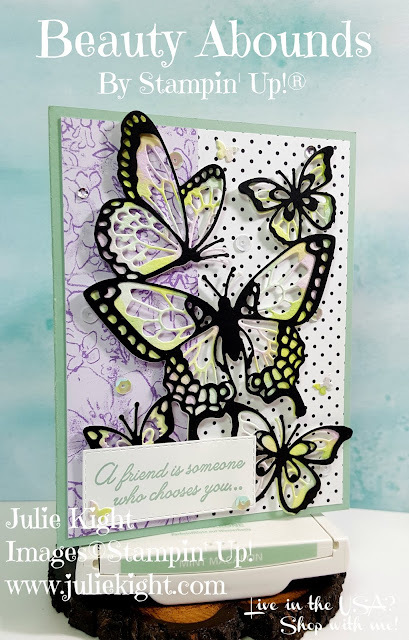 Continue the blog hop below to see other amazing cards from demos all over the world.